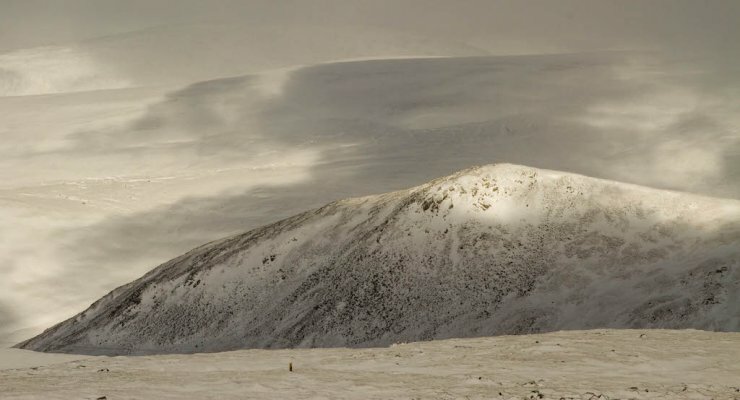 SAIS Southern Cairngorms Blog » An improving day. 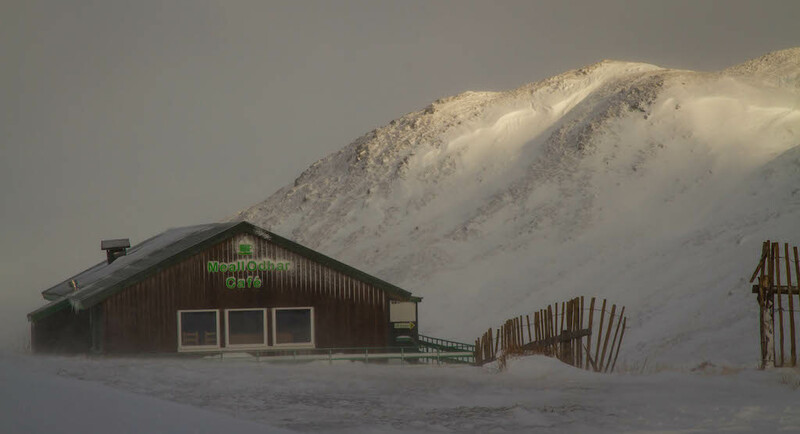 A fairly cool wintry day, plenty snow blowing around first thing. It soon settled down, brightening around lunchtime. 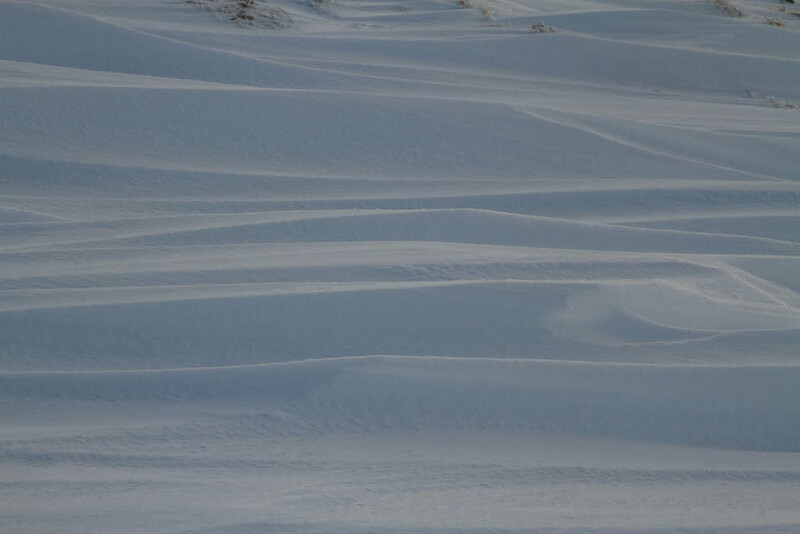 Snow cover continues to improve although we still need more for ski touring. Snowcover slowly continues to improve. 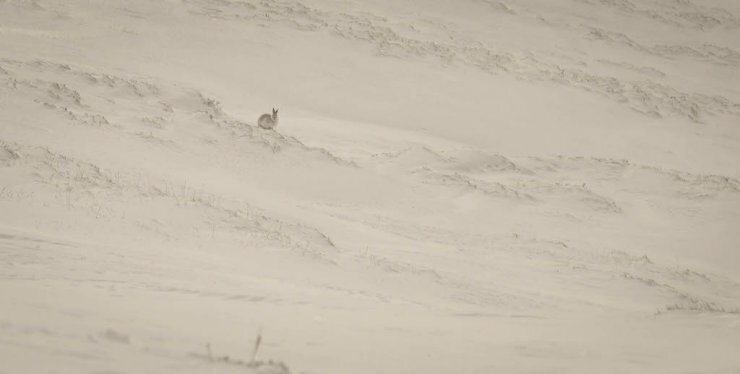 A mountain hare sits out on a sheltered SW aspect. Wind features have developed on E to SW aspects. Exposed ridges often scoured. The macaroni pie stop not open yet. Recent deeper deposits striped from an exposed col.
Sunlight on Sron na Gaoithe. Foreground exposed plateau and ridge is stripped but cover reasonably good on sheltered aspects. Weather improving during the day. 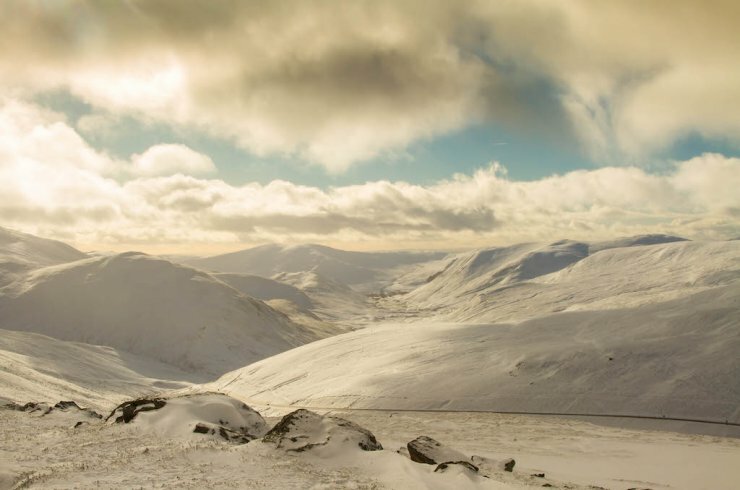 Looking wintry towards Glenshee.